It’s already been a difficult ending to 2015 and a tumultuous start to 2016 for most stock-market investors. The Santa Claus rally never materialized, and the January effect was an additional gut-punch that resulted in a 10% decline by January 20, 2016. Since then, the S&P 500 has battled back from the mid-February 2016 capitulation point of 1,829, which represented a nearly 15% drop from the 2,134 achieved in May 2015, and again in June. The “net/net” of this wild ride is an S&P 500 is flat for 2016, (as of 3/21/2016) which isn’t all that bad. However, the rocky start in January has all but the savviest investor somewhat spooked. If history is any indication, it’s not going to get a heck of a lot better. Why? Because markets tend to lag in historical averages—or even fall— in the last year of a U.S. president’s second term. Since 1900, the S&P 500 has, on average, fallen by 1.2% in the eighth year of a president’s term in office, with the market rising only 44% of the time. The worst drop was in George W. Bush’s last term, in 2008, when the market fell by about 40%. While there are plenty of reasons why equities may struggle this year, such as falling oil prices and slowing global growth, election-related uncertainty isn’t helping. Here at WT Wealth Management, we believe that it’s a large but immeasurable part of the overall angst. Come November, America will have a new president—but who that will be is still very much up in the air. This general lack of clarity is not good for the financial markets. In general, investors don’t like the upheaval and uncertainty of an open-ended race with such diverse candidates. Also, presidents in the final year of a second term are often less predictable than they were in previous years, which adds to the general uncertainty. Clearly, they are “lame duck” presidents with little political capital left, so they push through policy initiatives by executive orders and other creative means. The final year of a two-term president stands in stark contrast to the final year of a president’s first term. Since incumbents are generally reelected, markets don’t suffer from the same uncertainty. Since 1900, the S&P 500 has gained an average of 11.5% and has risen 83% of the time in the fourth year of a president’s first term. There is a chance that the year won’t end up as badly as many feel it could, but it depends on who investors think will win the election. We could have the benefit of mid-year and year-end rallies—another reason why financial markets should not be timed. It is therefore important for you to invest within your risk-tolerance levels and become an interested observer. In general, if stocks rise between July 31 and October 31, then people are generally of the mindset that the incumbent party will win. If equities fall, then the thinking is that a new party will take over. Again, it relates to uncertainty—as the saying goes, “Better the devil you know than the devil you don’t know.” That is, given a choice between a familiar but rocky situation and an unpredictable one, it is better to choose the former, because the latter could be worse. All the more reason to invest within one’s risk-tolerance levels rather than gamble on the incalculable. The results of this late-summer-to-early-fall time period actually play out in the November elections. In 82% of the times stock markets have climbed from August through October, the incumbent party has won. In 86% of the times the market has been down, the replacement party has been the victor. Individual sectors of the S&P 500 could also experience more ups and downs in the run-up to the election. Once candidates are chosen and party platforms are revealed, investors will have a better sense as to what industries might either benefit or suffer, depending on who’s elected. While those platforms are still to be determined, little things can make a big difference. For instance, an industry such as coal, which recorded a near 80% price decline in 2015, could see a rebound if investors think that the Republicans, which tend to favor less stringent air-quality regulations, will take the White House. On the other hand, U.S-based pharmaceutical companies could see prices fall if Democrats, which have said that they want to cap drug pricing, remain in office. In our opinion, the stock markets will give a bit of clarity to the eventual outcome of the fall election. In our opinion, after examining historical trends (see chart below), 2017 should be better than 2016 as the uncertainty is removed. 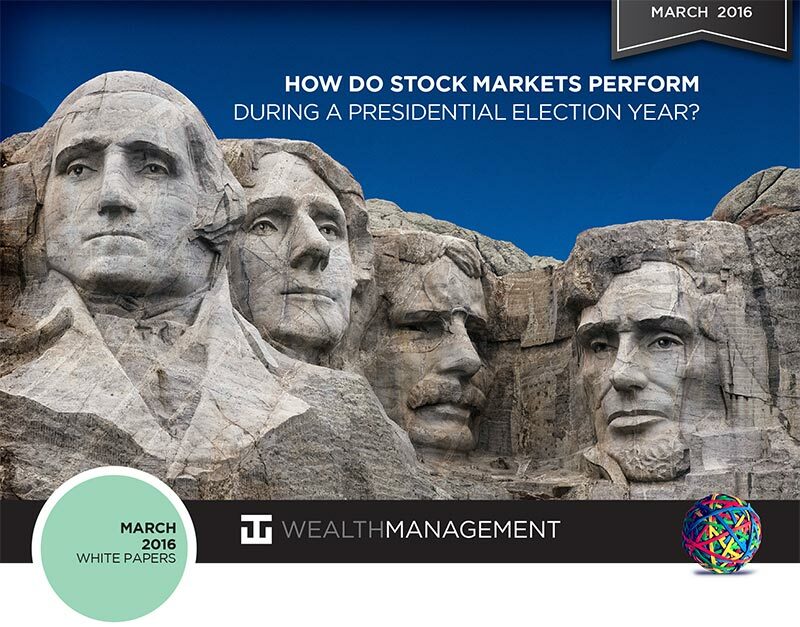 Investors won’t have to guess who will be in power, since a president’s first year often yields a positive S&P 500, according to Presidential Election Cycle Theory. In fact, it’s positive 61% of the time. Since 1944, the S&P 500 has achieved, on average, a 6.2% gain in a president’s first year in office, in term one, which isn’t all that bad. Year two of term one is where things potentially get difficult. Since 1944, the S&P 500 has achieved, on average, a mere .5% gain in a president’s second year in office. During that first year, or the “honeymoon period,” Americans are optimistic about their new leader. Then, by year two, policy makers begin to feel less restrained about introducing new policies and programs, which at times may be restrictive and unpopular with even voters that supported them. As these new programs—usually involving higher taxes, more spending and more regulation—are implemented, they begin to negatively impact business profits, consumers, and the financial markets. The big numbers tend to appear in the third year of term one, after the midterm elections—and that is where, historically, the markets have really improved. 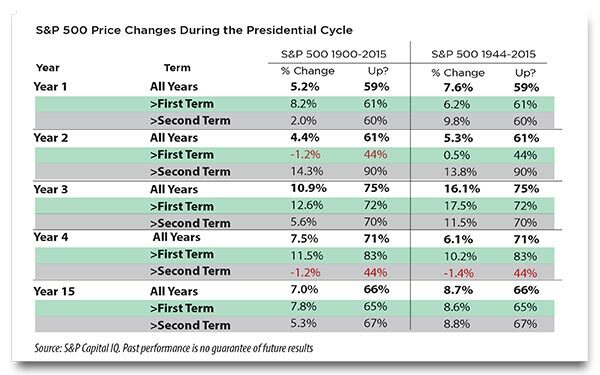 Since 1944, in the third year of a president’s first term, the S&P 500 has been up on average of 17.5% and has been positive 72% of the time. In all reality, the world is different today. The ’60s, ’70s and ’80s are almost like the “dark ages” compared to today’s global economy. Heck, it’s vastly different than just eight years ago! GDP (Gross Domestic Product) events in Europe, Japan and China impact the United States as if they were happening right here on our shores, because the U.S. financial markets do not operate and trade in the vacuum they had done for most of the 20th century. Currency and exchange rates from around the world affect the United States on a variety of fronts, and they impact commodities and financial markets daily around the world. Since 1944, in the last year of a second term the S&P 500 has been, on average, down 1.4%, and positive only 44% of the time. But do we believe this is a reason not to invest? Absolutely not!! Investing in the current environment is different—vastly different—than virtually any other time period in our lifetime. In January 2000, President Clinton’s last year in office, the 10-year U.S. Treasury yield was 6.6%. Many investors today would happily take 6.6% and turn their back on the stock market. Today, with a 10-year Treasury yield under 2%, it’s not really a wise option to invest there and forget CDs (certificates of deposits). In 1992, George H.W. Bush’s last year in office, the 10-year Treasury yield was 7.03%, and in 1988, Ronald Reagan’s last year, the 10-year yield was a staggering 8.6%. 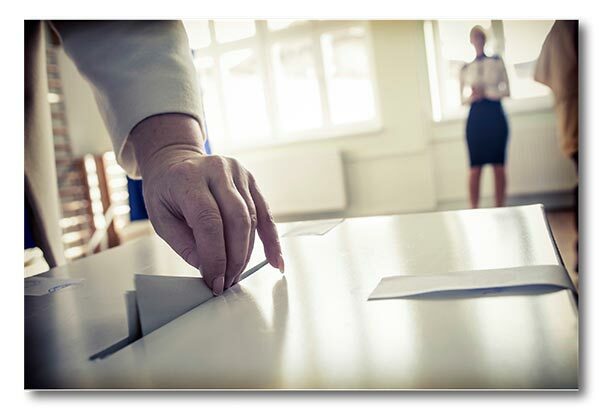 Future presidential uncertainty potentially drove equity investors to safer options with compelling returns while they waited to see how the presidential election played out. We believe this could have impacted equity returns to a great extent: fewer buyers in the marketplace, and stock prices will drop. Unfortunately, we at WT Wealth Management believe that many investors are in the equity markets, not by choice, but by necessity. People are living longer, interest rates are dramatically lower, and people who retire in their late 60s still feel the need to grow their portfolios. Think about it: A $1 million portfolio invested in the 10- year Treasury yields less than $20,000, and a one-year CD yields less than $15,000. These historically low rates have driven usually conservative and risk-adverse investors into the equity markets to obtain higher returns. At WT Wealth Management, we believe that years like 2016 are the reason why we manage every investor portfolio differently and uniquely. This is about your comfort level and your goals and objectives, not ours. So it is critically important to know your personal risk tolerance and what the potential downside of your portfolio could be. As always, we are here to help. Please contact us if we can serve you in any way. Note, however, that the facts in this paper are mere observations about history, and truly it’s anyone guess how this year will turn out. WT Wealth Management is a registered investment adviser located in Scottsdale, AZ. WT Wealth Management may only transact business in those states in which it is registered, or qualifies for an exemption or exclusion from registration requirements. Any subsequent, direct communication by WT Wealth Management with a prospective client shall be conducted by a representative that is either registered or qualifies for an exemption or exclusion from registration in the state where the prospective client resides. For information pertaining to the registration status of WT Wealth Management, please contact the state securities regulators for those states in which WT Wealth Management maintains a registration filing.